Outlook Express, Windows Mail, Webmail ? Whether you want to access these from your computer / laptop or mobile phone I can both create them and set them up for how you want to access them. I can sort out the POP3 from the SMTP and the IMAP gobbledegook. 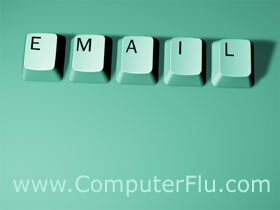 Most email accounts can also be accessed from another computer, so long as you know your password. Tip: Change your passwords regularly.